SunDog Tour Co. is proud to have created a safe, reliable, comfortable and affordable Edmonton, Edson, Hinton, Jasper shuttle service. With stops at both the Edmonton International Airport and the West Edmonton Mall, we have your travel and shopping needs covered! A convenient schedule has been put in place that offers the opportunity to travel to and from West Edmonton Mall or the Edmonton International Airport without changing buses and with limited stops. If all you require is a half-day in the city; passengers who book a same day return will have approximately 4 1/2 hours to enjoy the city before returning home at a convenient time at one low price! 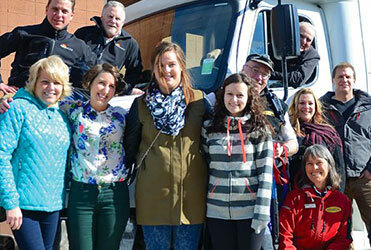 This service also makes the stunning town of Jasper much more accessible for all visitors. 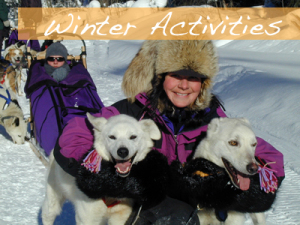 Be sure to visit our Winter Activities page for exciting things to do while in Jasper!! 7:00 a.m. Commence pick-ups at Jasper Hotels. 7:25 a.m. Depart Jasper Park Lodge. 8:15 a.m. Pick-up drop-off in Hinton (Hinton IGA). No rest stop. 9:15 a.m. Arrive in Edson (Best Western High Road Inn) for pick-up / drop-off and rest stop. 11:30 a.m. Arrive at West Edmonton Mall. 11:35 a.m Depart West Edmonton Mall. 12:30 p.m. Arrive Edmonton International Airport. 3:15 p.m. Guests meet at door #10 International Arrivals. 3:25 p.m. Depart Edmonton International Airport. 3:50 p.m. Guests meet driver in lobby of Fantasyland Hotel at West Edmonton Mall. 6:00 p.m. Pick-up / drop offs, rest stop in Edson (Best Western High Road Inn). 7:05 p.m. Pick-up / drop-off in Hinton. 8:00 p.m. Drop-offs begin in Jasper. All costs are per person in Canadian Dollars. Please add 5% Goods and Services Tax (GST) to all rates. All schedules are shown in the 24-hour clock format. Pick-up location and flight times required for all Shuttle bookings. Client will need to notify SunDog of pick-up location or time changes from the original request or client may be missed. Pick-ups and drop-offs available from any address in Jasper.